At The Turn of the Tide: Bring on the Mothers of Mercy! "The great storm is coming, but the tide has turned." Culture, Catholicism, and current trends watched with a curious eye. Bring on the Mothers of Mercy! So I've been pondering the role of women in the Church for some time. One oddity I've noticed: There is no role for women in the Church on earth that quite fits the Gospel portrayals of Mary and the women disciples of the early Church. So I've come up with a few possible ways to rectify that. Note: I submit absolutely to the Church on all matters of faith and morals. This is speculation only. I am ready and willing to stand corrected. But given present circumstances, it seemed like this might be worth sharing. There are two main ways I think women might play broader roles in the Church: in the workings of the processes of the canon law system, and in handling the finances of the Church. If you read any of the excellent works of apologetics that have come out in the past couple of decades, seeking to explain and defend the role of Mary in the Catholic faith, you will probably have encountered the title of gebirah, referring to the role of the Queen Mother in the Davidic Kingdom. That role meant she served as an advocate, as a one-woman court of appeals, for the poor and the weak of the kingdom. And ordinarily, she would not be denied whatever she asked. It is the understanding of the Church that Our Lady, the Advocate (so named, at least in part, because she is joined in a special and unique way to the Holy Spirit, Sanctifier and Advocate), continues to exercise the role of Advocate from Heaven. Indeed, in the writings of great saints such as Alphonsus Liguori (The Glories of Mary) and in near death experiences right down to the present day, we read again and again of Our Lady interceding for souls as they are judged by Jesus. We hear of souls who are condemned to hell, only for that sentence to be overturned at the request of Our Lady, who says to her Son that she wants that soul. That soul offered some small act of love or devotion to the Blessed Virgin in life; now, she wants them in Heaven with her in death. There is no comparable role for women in the Church on earth. Oh, sure, everyone knows of the church ladies, the indispensable women without whom nothing would run. Everyone's aware of the parish secretaries who see to the needs of the parish, of the religious women who teach, nurse, and serve in any and every capacity under the sun. There are more and more roles for wise women, theologians and lawyers, accountants and chancellors, sure. But there are no women with gebirah-like roles, and given that Israel and the Church have recognized female judges and queens in the past, there seems no reason to assume that there cannot be women with gebirah-like roles in the future. Women cannot be ordained priests, that is for certain. But why would we assume that women could not constitute a sort of court of appeals in the canonical structure of the Church? Call them the Mothers of Mercy, to be established at the diocesan and the Roman levels. Perhaps they would constitute a religious order, or perhaps they would be something akin to the modern movements, open to qualified lay women and women religious of unimpeachable integrity, orthodoxy, and skill. All the women would be trained and professionally prepared canon lawyers and/or theologians, empowered to serve both as counsel and as judges in canonical cases. Canonical sentences could be appealed with the Mothers of Mercy. The rulings of the Mothers of Mercy would be like the rulings of Our Lady--requests made of her Son, phrased as requests, but never denied. Further, some of the Mothers could perhaps also serve as advocates, as defense counsel to the poor and the weak, to those who would not otherwise have canonical representation--abuse victims; students; religious who are challenging their communities, or laity who do not have resources, but who need redress of liturgical, theological, or other issues. Again--this would simply match the structure of the Church on earth to that of the Church Triumphant, of Our Lady's role in the Kingdom of God. 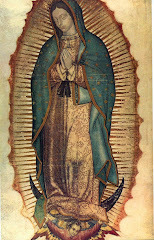 She is Advocate for all; the Refuge of Sinners; the Mother of Mercy; the hope of the oppressed. She is the Queen Mother, the gebirah, the voice of the voiceless, the defender of the defenseless. She can efficaciously plead clemency for even the guilty, for those who would otherwise be damned, be condemned by the fairest, most just court in existence. And she vindicates the powerless, the innocent, the oppressed. She comes to the aid of those under attack, as Fr. Donald Calloway, MIC, makes abundantly clear in his Champions of the Rosary. Why shouldn't some of her daughters here on earth serve in the same way? I leave it to the canon lawyers to determine what is feasible here and what is not. There would certainly be limits on the powers of the Mothers, as there are limits on the powers of the Holy Father and the bishops. All would be bound by ex cathedra teaching, by infallible teaching, by Scripture and Tradition. I do not propose the impossible. But given the role of the Blessed Virgin in the Church, I see no reason to say that the sort of system I lay out here is impossible or unthinkable. Simply: The rich women supported Jesus and the disciples, and were faithful to Calvary and the tomb. Judas held the purse; Satan entered in; Judas betrayed Jesus for 30 pieces of silver. There may be something charismatic or vocational, then, about women in the Church being the best and most reliable hands in which to place the Church's money. 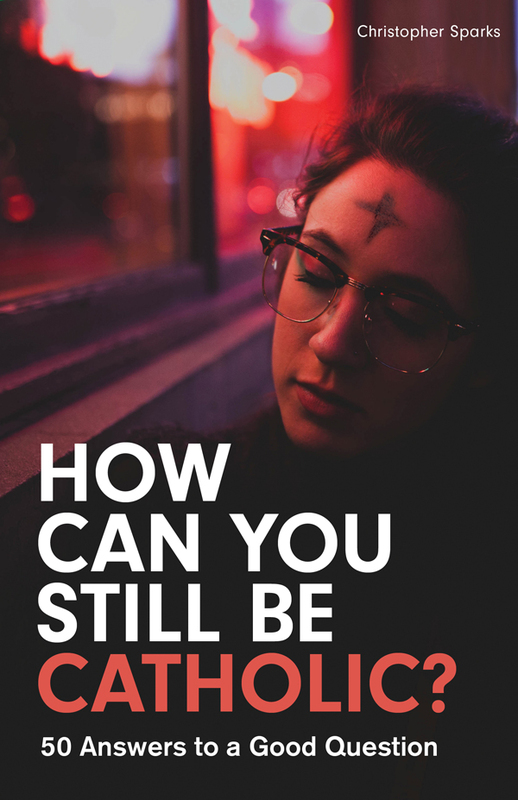 Why not prioritize having women handle the money as CFOs or stewards or whatever other such role there may be in dioceses or perhaps even parishes? Hire qualified female accountants. Of course, women may fall just as men have fallen in the past. This is no guarantee against criminality or corruption. But one of the great successes of the American experiment in governance has been the division of powers into a number of different hands, of checks and balances. Given recent experience of what happens when all power is gathered into one set of hands, into the hands of the hierarchy, and that hierarchy loses its way, perhaps it's time to take a very serious look at what sort of division of power may be appropriate and possible, given the witness of Scripture, Tradition, and the nature of the Church. Putting the finances into female, lay hands is one relatively easy and painless form of division of power, one that does no harm to anything fundamental about the Church. Again: I put this out there as a proposal. It will need nuance and thought by those whose competence is the canon law of the Church. But it seemed worth sharing, given the present crisis. My small contribution to the New Evangelization. Oh Blood and Water which gushed forth from the Heart of Jesus as a fountain of mercy for us, I trust in you. Scott P. Richert, Catholicism Guide, says: At the Turn of the Tide, by Caspar Ignatius, is eclectic but always interesting, and always true to the teachings of the Catholic Church. "The Church is the Cross on which Christ was crucified"
A couple of interesting stories on causes for canonization. "...if the Church isn't supernatural, why bother with it?"